Project Learning Tree’s Education Operating Committee (EOC) is a group of professionals from education, business, and environmental fields that meets twice yearly to provide expertise, leadership, and strategy direction to the American forest Foundation (AFF) and its national environmental education program Project Learning Tree (PLT). Their goal is to help further the understanding of complex environmental issues and natural resource management among educators, youth, and their families. With the start of the year, we say goodbye to 3 members who have dedicated many years to helping PLT work towards its mission, and we welcome 5 new members! Our heartfelt thanks to Frank Gallagher Ph.D., instructor with Rutgers University, Bora Simmons Ph.D., Director of the National Project for Excellence in Environmental Education at the University of Oregon, and Brenda Weiser Ed.D., Associate Professor, Science Education at the University of Houston – Clear Lake. Thank you for your outstanding support, hard work, and commitment to PLT over many years! Laura Downey Ph.D., Executive Director of the Kansas Association for Conservation and Environmental Education and current EOC member, has taken the reins from Frank Gallagher as a Co-Chair of the EOC and will also now serve on AFF’s Board of Trustees. Laura is a national leader in the field of environmental education and has a Ph.D. from Kansas State in Curriculum and Instruction for Math, Science, and Technology. Rafael Salgado, Executive Director of Cal-Wood Education Center in Colorado, also now serves as Co-Chair of the EOC. In addition, we welcome 5 new members to the EOC. Nicole is an assistant professor at Stanford University’s Graduate School of Education and the Woods Institute for the Environment. Her research includes informal and place-based education as tools to engage communities in the environment, and understanding the motivations for environmental behaviors, including local connections and nature-based tourism. Robert is a professor at St. Petersburg College, a member of Florida PLT’s State Steering Committee, and a National PLT Outstanding Educator. He works with education students and teachers to share the importance of environmental education, STEM, and new methods of learning. Rahul is the founder and CEO of Anant Corporation, a Washington D.C.-based digital consulting groups that connects its clients with the most advanced technology solutions. He brings an entrepreneurial spirit and technological know-how to the EOC. The National Association of State Foresters has appointed two liaisons to the EOC to serve as their schedules permit. Robert Farris is the Director of the Georgia Forestry Commission and Peter Church is the Director of Forest Stewardship for the Massachusetts Department of Conservation and Recreation. These members bring expertise in business, formal and informal education, and land management to the EOC, and will surely serve to help PLT work towards its mission. PLT has an exciting future ahead, and we look forward to working with this diverse group of new members as we grow! 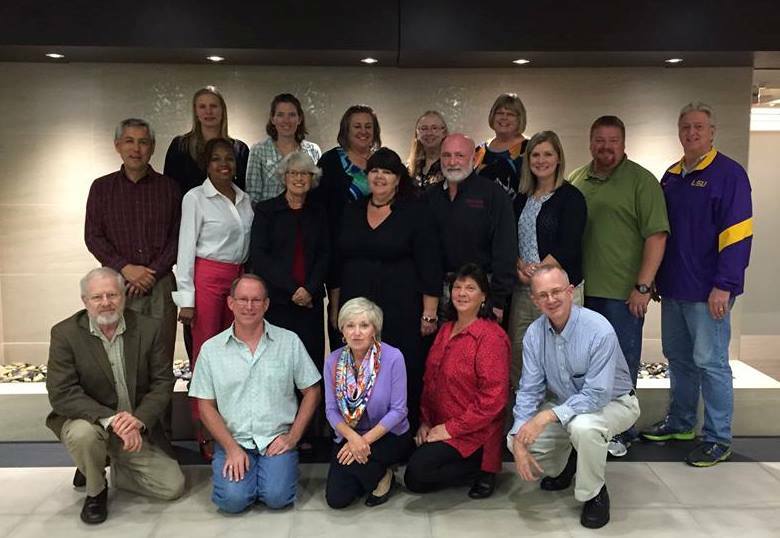 Photo: Project Learning Tree’s Education Operating Committee members meet in Washington, D.C. in October 2015.